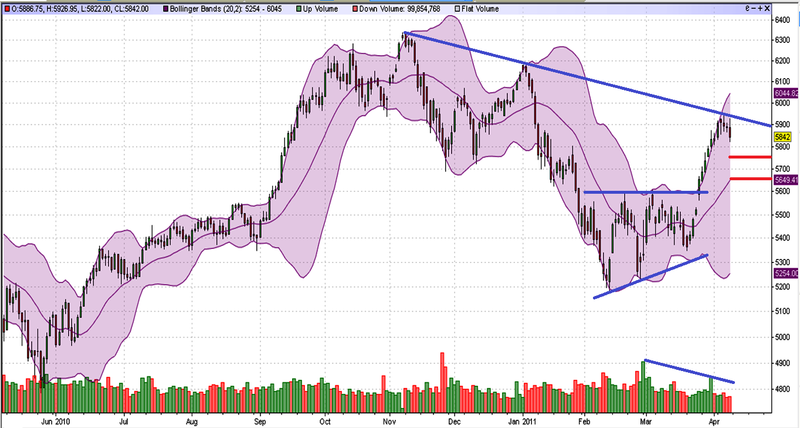 Nifty Daily Chart: Just to add on to the previous day's weekly outlook. I have added Bollinger Band study in the below chart, we can see that prices are off from the upper band and moving towards the mid line, we expect the same to be met in our target zone of 5750~5650. Also the volumes have been under pressure for a while, which i believe would recover once we are off from the mid band of BB.